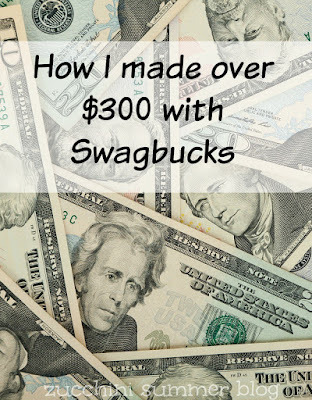 In 2016 I got $334 from Swagbucks! This year I redeemed for gift cards (instead of PayPal) and got $25 to Babies R Us, $25 to Sephora $284 to Amazon. 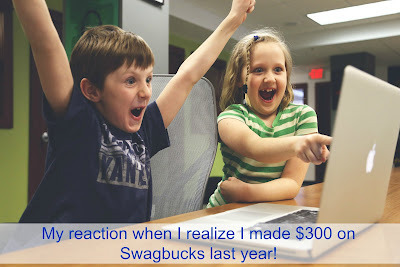 Like I've always said about Swagbucks, it will NOT make you rich. Do not quit your day job. But would you like an extra $300 this year? YES! If you are wanting to save up for a new PlayStation, Macbook, Christmas gifts, new clothes, whatever, THIS is the way to do it. Personally, I didn't save for a big ticket item this year but used the earnings to buy things for my classroom (hello teacher budget), gifts, and loads of books! --Do the "daily poll". It takes 2 seconds. You can find the link to it on the left side of your screen when you log in. 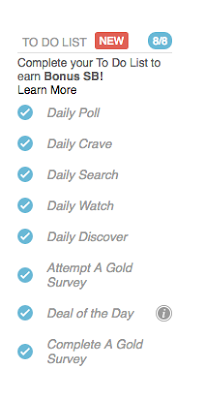 Here's a screencap of my screen today (the green check means I completed all of those activities). --Watch videos on Swagbucks' website. There are topics for all sorts of interests: pets, household, cooking, finance, travel, celebrity gossip, movies & tv. --Take surveys. Sometimes you qualify for one, sometimes you don't. I don't spend tons of time here but do try to get a couple a month. Today I completed one worth 65 points! --Participate in Team Challenges---there's usually a reward for everyone even if you are on the losing team. They are free and a nice way to get a little points boost. --Shop via the Swagbucks links. If the Ebates payout % is lower, I do my online shopping through the Swagbucks link and earn points for things I was going to purchase anyway. --Do the "NCrave" items. They show up on the home page. Usually pretty easy and they pay anything from 1-7 SBs each. Swagbucks is a great way for retirees, teachers, stay at home moms, and college students to earn some spare money. I mean, who here would say "no thanks" to a few hundred dollars? Now that I shared how I made over $300 on Swagbucks, can you do me a favor? If you join, would you use my referral link? 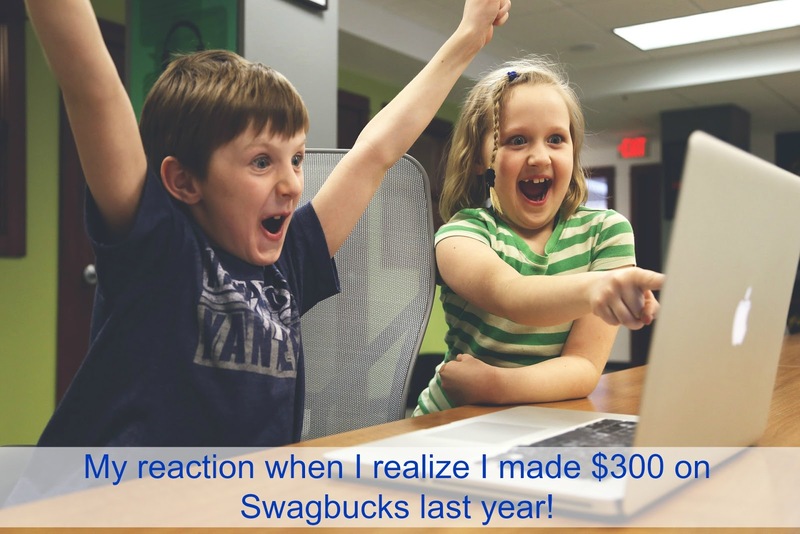 One of the way Swagbucks offers it's users the chance to earn more SB is through referrals. It's one thing I've not been good at that I'd like to improve. Here's the referral link. Thanks! !